Pitcher needs just 65 pitches to wrap up victory. SKOWHEGAN — Before Monday’s game, the instructions given by the Skowhegan Area High School baseball coaches to starting pitcher Colby Esty were clear. Pound the strike zone and keep your pitch count down. 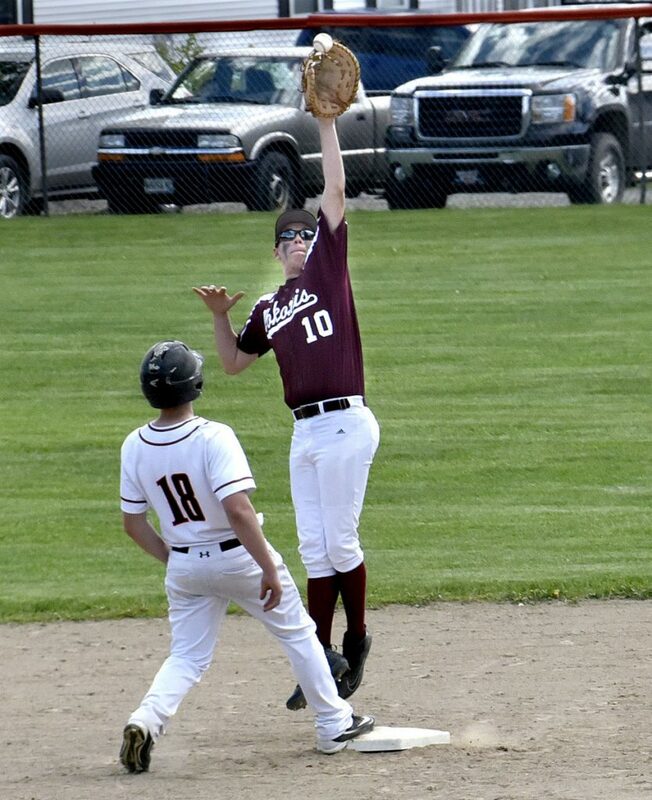 When the game was over, and Esty had thrown just 65 pitches in an 11-1, six-inning win over Nokomis, Skowhegan head coach Mike LeBlanc joked it was the first time he’d seen Esty keep his pitch count low in three years. “We talked to him before the game and just told him the senior game is Friday. I’d like to have him go at least one inning on Friday. Just pitch to contact and go after the hitters. Challenge them,” LeBlanc said. The win improved Skowhegan to 7-6, and the Indians climbed to sixth place in the Class A North Heal point standings. Nokomis is now 10-4 in Class B North. Esty was at times dominant and always effective. The senior retired the first 11 batters he faced, before Zach Hartsgrove broke up the perfect game with a two-out triple in the top of the fourth inning. Hartsgrove hit a sinking line drive to center field. Colby Miller dove to try to make the catch, and the ball rolled by for the triple. Hartsgrove then scored on a wild pitch for the Warriors’ only run. Esty said he didn’t realize he had a perfect game going until he returned to the dugout at the end of the inning. “That was a good effort by (Miller),” Esty said. Esty struck out six and walked none. 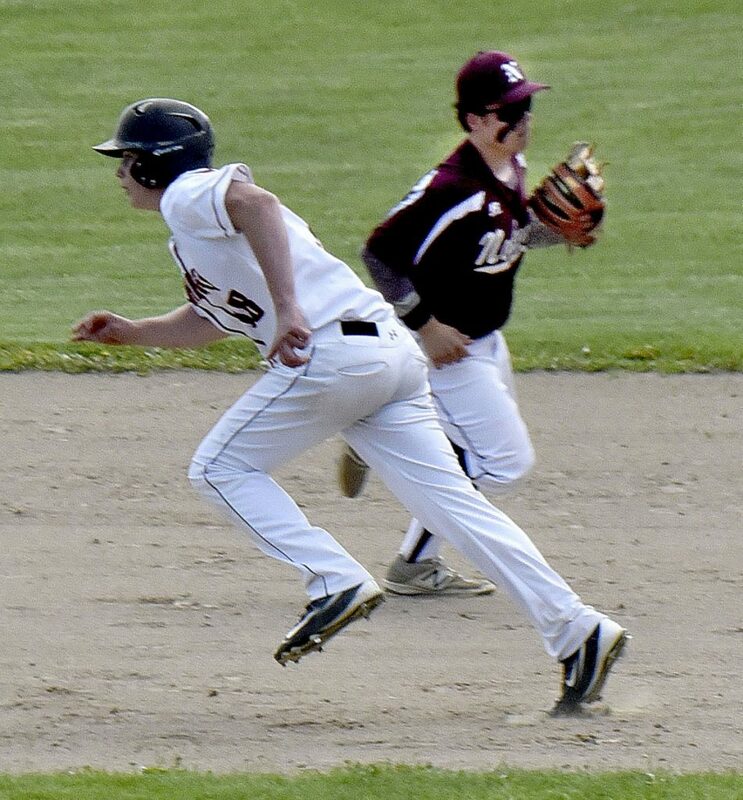 The only other baserunner he allowed was Colby Pinette’s one out single in the top of the sixth, but Pinette was thrown out trying to steal second by Skowhegan catcher Aidan Louder, and Esty faced just one hitter over the minimum. While Skowhegan pounded out a dozen hits, the Indians also were helped by six Nokomis errors. Two Nokomis errors in the first inning helped stake Skowhegan to a 4-0 lead. Skowhegan made it 5-0 in the third when Marcus Christopher hit a leadoff double and scored on Kyle Kruse’s single. The Indians added three more runs in the bottom of the fifth inning, and ended the game via the 10-run rule in the sixth with three more. Ryan Savage hit a sacrifice fly to right to score a run, and Caleb Bridges’ two-run pinch single ended the game. 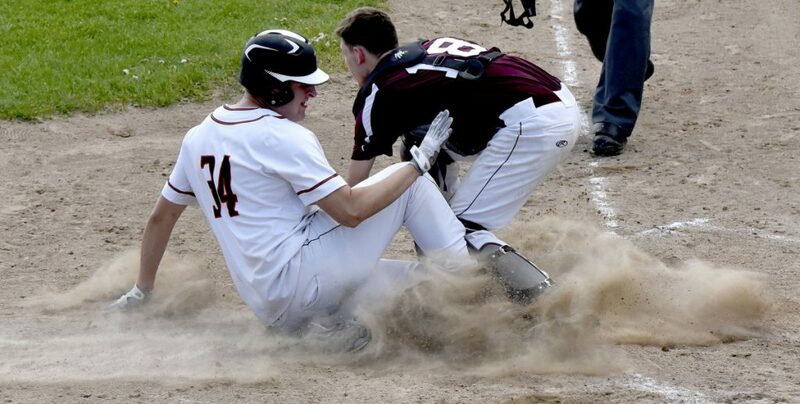 Christopher had two hits and scored three runs for Skowhegan, while Kiel Lachapelle also scored three runs and had a pair of hits. Kruse hit three singles for the Indians. It was the third consecutive loss for Nokomis, which played without a few starters out sick, including shortstop Josh Smestad. 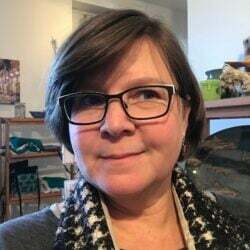 “We’ve had our struggles over the last week. We were hoping to grind through it with the playoffs nearing, hoping to get some guys healthy. It has been a little rough stretch for us,” Coach Hartsgrove said.